These days, it is rare to find a corporate website without a page on CSR (or Corporate Social Responsibility). 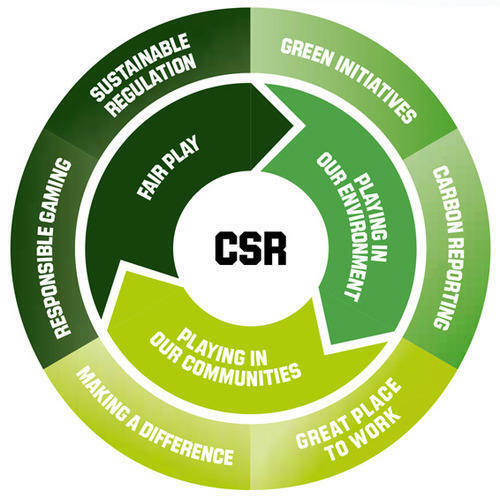 Organizations talk about how much they care about their employees, what they do about the communities they operate in, how CSR is one of their core values, often showcase some of their projects, future commitments towards social and environmental causes, etc., etc. On the one hand, it is comforting to see many (mostly) international brands that have made big announcements about changes to their businesses which suggest an awareness of their social responsibility. From IKEA announcing a move to bioplastics to Adidas bringing out a line of shoes made from ocean plastic to McDonald’s publishing to remove straws from its stores to Starbucks announcing the switch to new takeaway coffee cups. On the other hand, we still see many companies - both large and small - who seem to always operate with little regard for the environment. If we look around us, we see such companies on a daily basis! But what is stopping them from operating responsibly? How much responsibility should we put on companies for their behavior, and how far does the problem relate to institutional issues, such as a lack of ethics/values in education and a general disconnection from the environment? Can we trust green claims made by large corporations? Why is so much more happening now? Is it because of public outcry, global campaigns, and increased consumer awareness, or ‘green’ being profitable? Do CSR claims reflect real changes made within the organization and its products? Or are they just another way to gain consumer loyalty, and thus profitability? How does China fit into the global CSR trend? What would it take for CSR to take-off here? And most importantly, is CSR an excellent long-term solution or a short-term band-aid fix? What can consumers and employees do to accelerate and influence positive behaviors from their organizations? Subject: What is the difference between companies that have “real" CSR and those that just greenwash? What actually leads to results and behavioral changes? Background: Corinne Richeux Hua is a British/French received a graduates degree in Chinese Studies from Cambridge University; a Masters Degree in Managing Rural Development at Imperial College London. Corinne is the founder of Stepping Stones (https://steppingstoneschina.net/), a city-wide English teaching a volunteering programme for migrant students, which now involves 350 volunteers teaching 5,000 students each week in more than 30 schools and community centers in Shanghai. Subject: For decades, words such as ‘CSR’ and ‘sustainability’ have been floating around us yet are probably the most misunderstood and coopted in the business world today. What does it all mean and is it even working? What's the role of business in creating a more sustainable future? Where does the individual consumer fit in? Background: John has devoted 15 years championing the sustainable development and stakeholder engagement and is a leading influential on forward-thinking strategic approaches in private sectors. Most recently, John founded Fulcrum Strategic Advisors. It's a mission to motivate business to think differently and better adapt to a changing world. John has been honored as one of the world's top 100 voices on modern China, is a regular contributor to China-based business magazines, and speaks to an array of global audiences on issues of sustainability and societal change. He also serves on the board of advisors to the U.S. Green Chamber of Commerce and the Australian Chamber of Commerce CSR Committee. naked Hub is a partner in Green Initiatives' WE Project. Remember to bring your old, used/useless electronics for recycling if you have them lying around.